The North Fork, the quiet finger of the victory sign that extends out to the Easternmost region of Long Island NY- 120 miles from Manhattan and many dozens of farm stands away - is the fork that doesn't have "Hampton" in any town name. This is the section of Long Island most preferred by those who shun the jostle of paparazzi and glitterati; those who wish to linger over a good espresso and scone in the morning and a just-purchased bottle of wine from a family-owned vineyard at dusk. 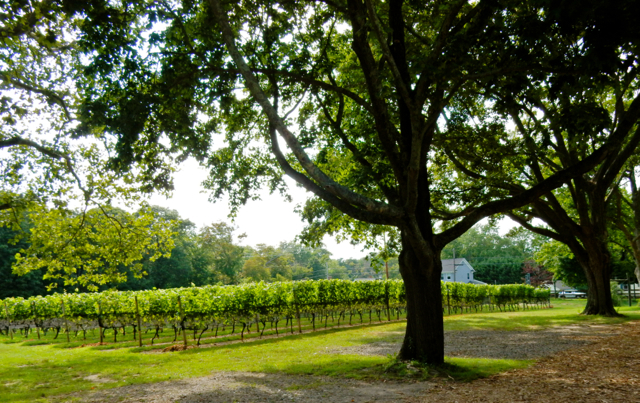 The North Fork is about farms and wineries, boating and paddling in protected waters, and finding the perfect restaurant or unique home-goods shop. Things are changing rapidly, however, and more and more tourists are discovering this rural region. Catch it while the North Fork is still the "Quiet Fork." The Getaway Mavens recommend starting with the following 15 Things To Do, though you can find much more about the North Fork and other "Offbeat Escapes in the Northeast" at GetawayMavens.com. 1. Take the Cross Sound Ferry and start your vacation 80 minutes before you get to Eastern Long Island. 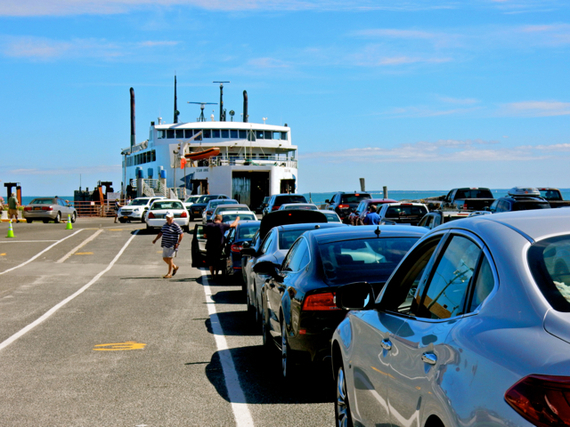 If you live anywhere in New England, the quickest and most pleasurable way to get to the tip of the North Fork is on the 80-minute Cross Sound Ferry that runs from New London CT to Orient Point NY. Why drive all the way down to NYC, then up again 120 miles, when you can take the boat and eliminate the hassles of traffic and bad drivers? Plus, the small café on board features Greenport Harbor Craft Beer and healthy food options so that you are properly fortified when you arrive. 2. Stop at Sep's Farm Stand in on Rt. 25 in East Marion between the Orient Point Ferry and Greenport for fresh-picked greens, fruit and flowers. You can't miss the place in the summer, overflowing with Pinterest-ready produce. 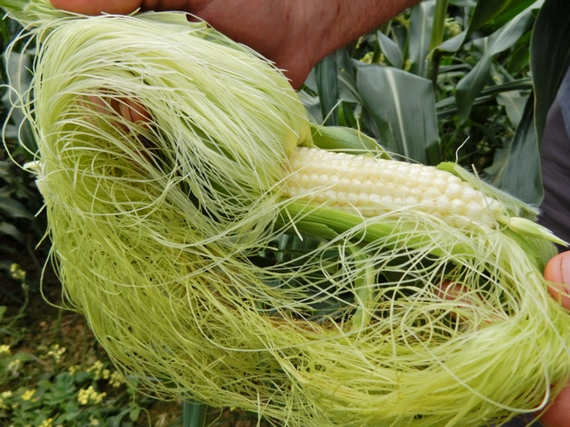 The corn is so incredibly good, you can eat it raw - and in fact its quality is so well known by fans, farmer Peter "Sep" Sepenoski has been called, "The Corn Whisperer." 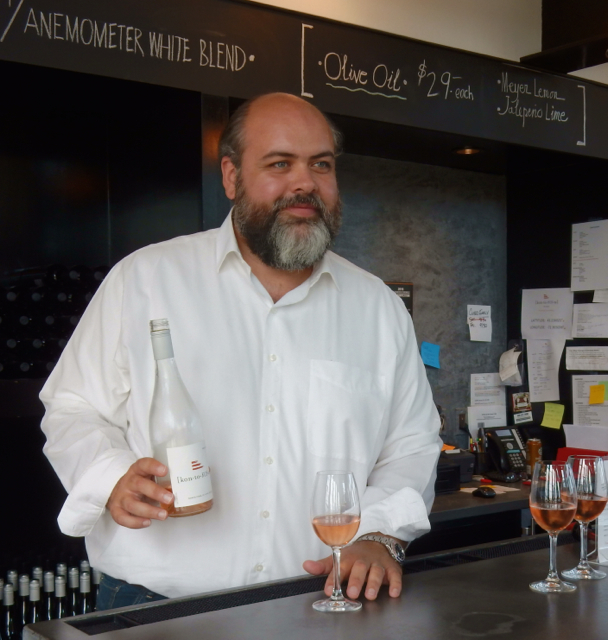 Sep and his wife Katie plan to begin Agricultural Tours of their 45 acre farm starting in Spring 2017, with tastings right off the vines and a bountiful tailgate-in-the-fields lunch. Stay tuned. 3. Take a 45 minute narrated cruise on the 30ft. Coast Guard Certified Electric boat - Glory, the first solar-powered vessel for tourist use in the country - from its dock in Greenport behind Preston's Marine Supply. 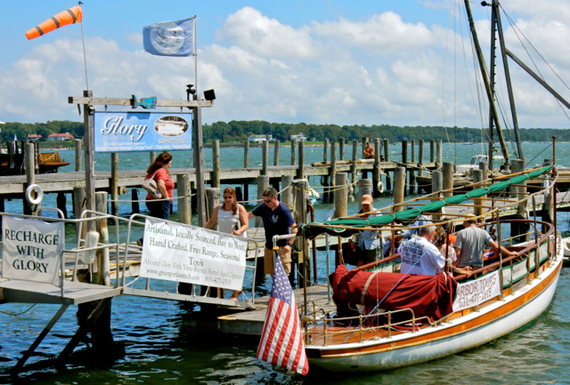 Captain David Berson regales guests with stories about Peconic Bay's history, Greenport's working waterfront, and changes to the area while you get to enjoy stunning surroundings. Captain Dave departs the dock with a blast from his conch shell and if you've been good, he'll hand you a Tootsie Roll pop at the end of the tour. 4. Belly up to the poured concrete bar (which tops a textural façade made from barrel stays) at the achingly gorgeous Kontokosta Winery to try a grassy, earthy, peppery Cab Franc, a fruity aromatic Cab Blanc, or another excellent vintage from the 3,500 cases of wine produced here per year. 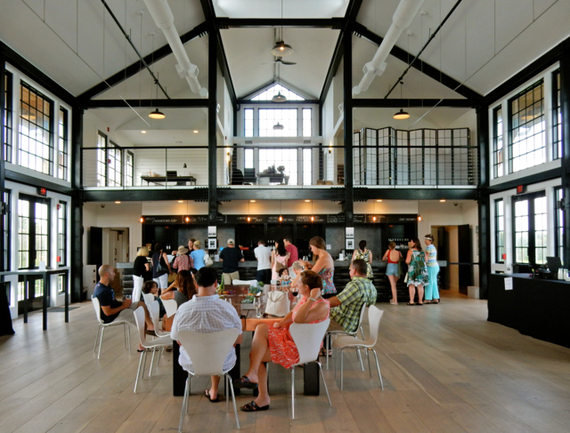 Mike Kontokosta left his Corporate Law career in New York City to tend to his vineyards in Greenport, and opened this LEED-designed barn tasting room and waterfront property to the public in 2013. 5. Taste top notch Pinot Noir, Merlot and Cabernet Franc (the "wine of Long Island,") in the original carriage house stables of an 1800's resort hotel at The Old Field Vineyards in Southold. Old Field sits on waterfront acreage where owners Christian and Rosamond Baiz live and practice sustainable farming and vineyard management. The tasting room, warmed by a potbelly stove, is particularly cozy in wintertime. 6. Hesitant to drink wine and drive? 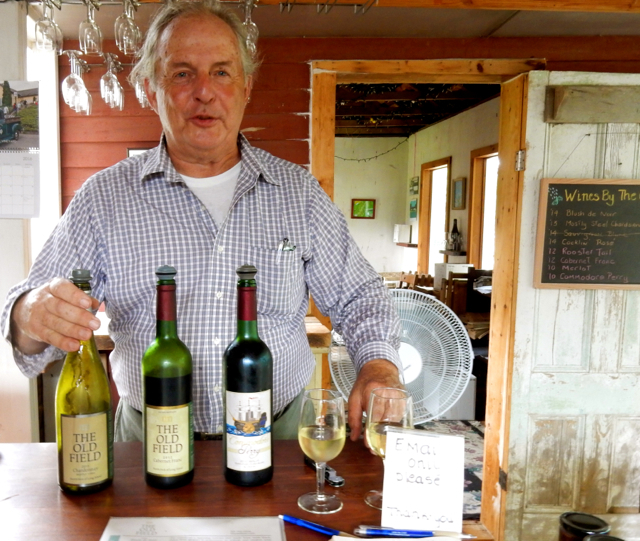 Call upon Jo-Ann Perry at Vintage Tours for an air-conditioned van tour to four wineries and a farm stand, complete with gourmet lunch in a bucolic setting. 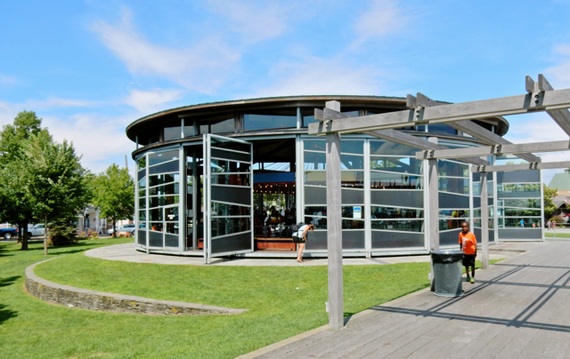 Staying at area hotels or marinas? She'll pick you up. $99 per person. 7. 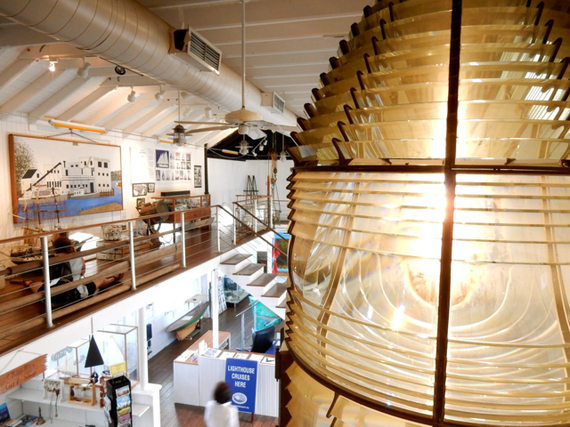 Find out how the "Bug" Lighthouse got its nickname, ogle a massive Fresnel Lens, and learn about the shipbuilding history of Greenport at the small but engaging East End Seaport Museum. On Saturday afternoons in season, the Museum runs Bug Light Cruises and Tours on the Peconic Star II berthed at the dock out back. 8. Tour Fire Fighter, "America's Fireboat Floating Museum". If boats could be considered heroes, Fire Fighter would be one, and those who served aboard her certainly were. 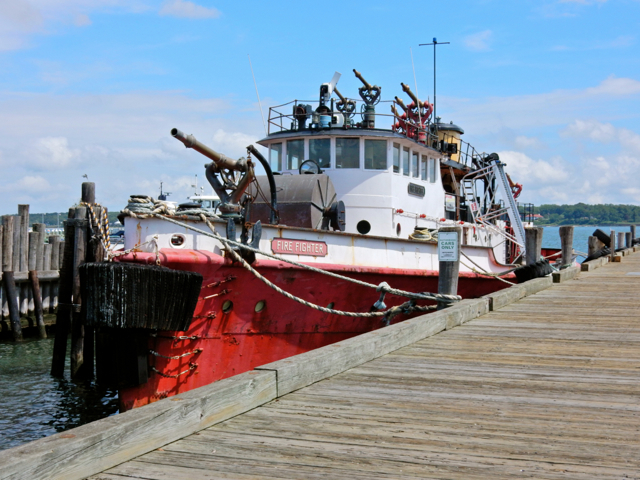 This 1931 New York City fireboat was brought back from retirement on 9-11 for its powerful water-pumping prowess. Visitors can board and tour this workhorse as it's being restored. 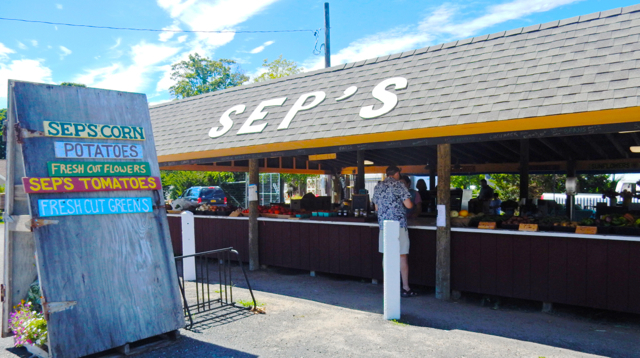 Located behind the East End Seaport Museum in Greenport. 9. Bring your SUP board (or rent one) and join locals for a Community "Paddle and Pint" with One Love Beach. On Tuesday evenings at 5pm from mid-May to mid-Sept, One Love Beach hosts meetups in a different area in the North Fork, depending on the weather. After the lesson, paddlers head to First & South for a beer or two. Check website for upcoming events. 10. Take a ride on the historic Carousel in its new contemporary digs at the renovated and exceedingly pretty Mitchell Park in Greenport. A gift from Grumman Aircraft Corp, this 100-year-old merry-go-round costs just $2 per spin. 11. 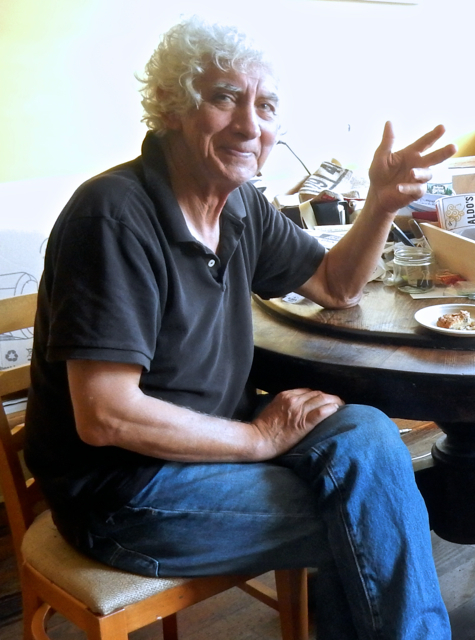 Say "hi" to Aldo before grabbing one of the best Euro-style coffees in the Northeast USA at Aldo's in Greenport. It's like stumbling on a little café in Rome - with quality house-roasted espresso and scones to match. Don't pass on the scones, whatever you do. They are baked with a "lip:" a little mound at the edge of the pastry you must bite first. And oh, that first buttery bite; it leaves you wanting more. "It's like your first kiss," says Aldo. "You never forget your first kiss." 12. Shop the boutiques and specialty stores in downtown Greenport; not a franchise among them. 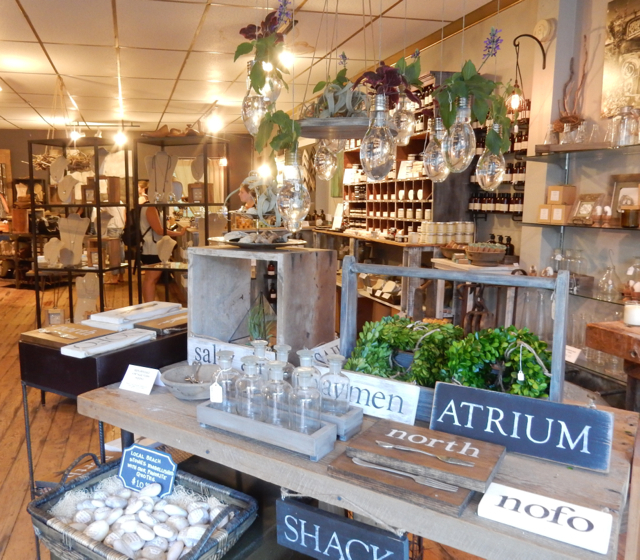 You'll find one-of-a-kind gifts and country-cool upcycled home goods at The Mercantile North Fork, The Weathered Barn, and other places where serendipity wins out. 13. 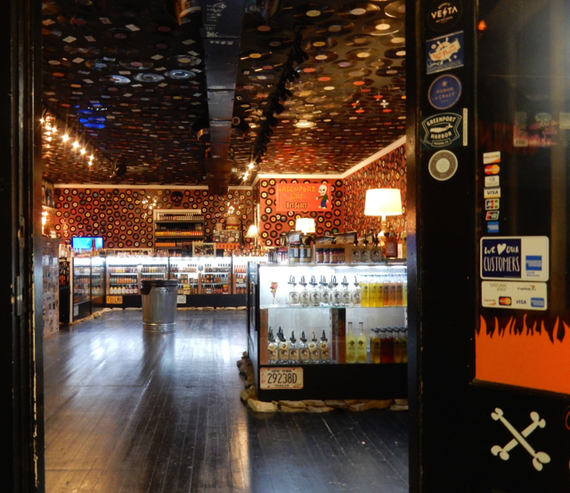 Score hand-rolled cigars to scorching pepper sauce at the funky Greenport Fire, where they sell "Everything Hot" in a urban-cool space. 14. 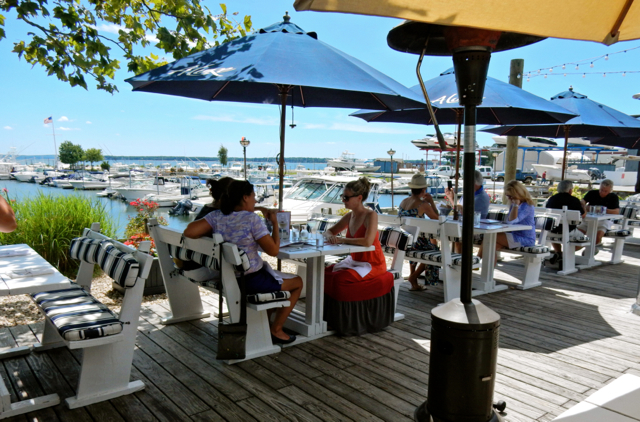 Order the Sweet and Spicy Shrimp, Baja Style Fish Tacos or anything, really, on the menu at the chic, marina-set A Lure Chowder House and "Oyster-ia" in Southold. Overlooking boats at dock and Peconic Bay beyond, the view is as lovely as the food. 15. 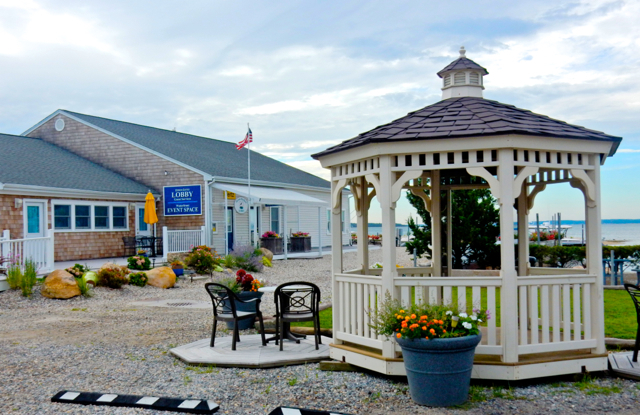 Stay at Heron Harbor Suites, an up-scaled fisherman's motel three miles from Greenport at Port of Egypt Marina in Southold. Renovated after Hurricane Sandy destroyed much of the property several years ago, Heron Harbor Suites offer sweet rooms and apartment-sized accommodations - some with full kitchens - for less than you'd spend in town. From the property, right on Peconic Bay, you'll view boats at docks and a small crescent-shaped sandbar where rare Oyster Catcher birds have begun to nest: a beautiful location with over-the-top friendly and neighborly staff.